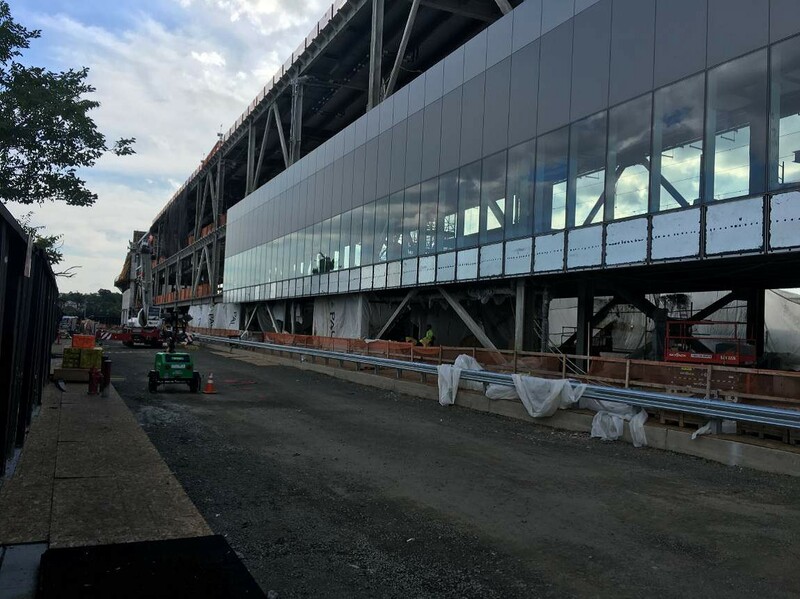 Progress continues on Delta’s $3.9 billion new terminal at New York’s LaGuardia airport, also known as The Delta Sky Way at LGA, with construction of the new terminal around the existing Terminal C and D picking up pace. A new flyover ramp opened with New York Gov. Andrew Cuomo this week that greatly improves customers’ access arriving by car from Manhattan into Delta’s current home in Queens. The end-state roadways at LGA are expected to drastically reduce the number of traffic signals from 19 to a total of three. 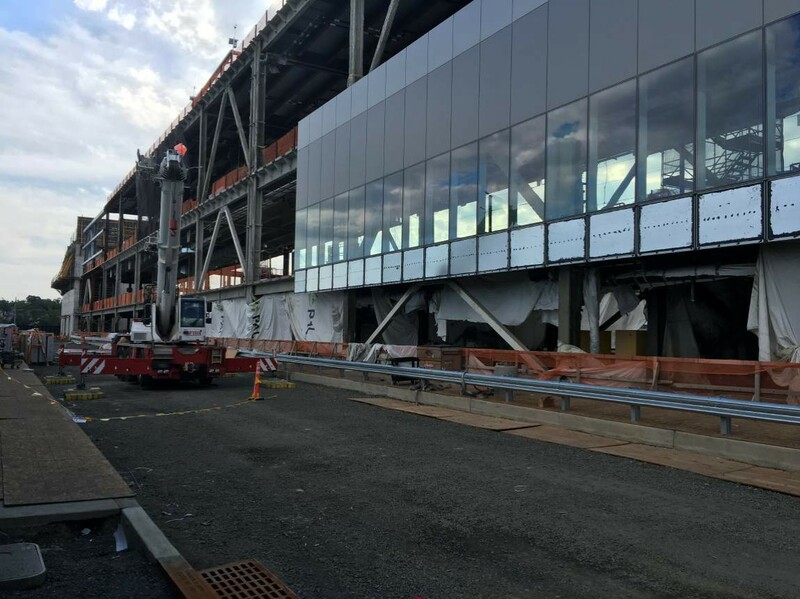 On Delta’s Concourse G construction site, the first structure of The Sky Way at LGA, the glass curtain wall installation began several days ahead of the targeted date. Concrete for the new terminal’s first aircraft start-up pad was poured on one of the new taxi lanes that will eventually serve Concourse G.
Piles are being driven for the new headhouse foundations, with the steel that will form the headhouse structure currently in fabrication.